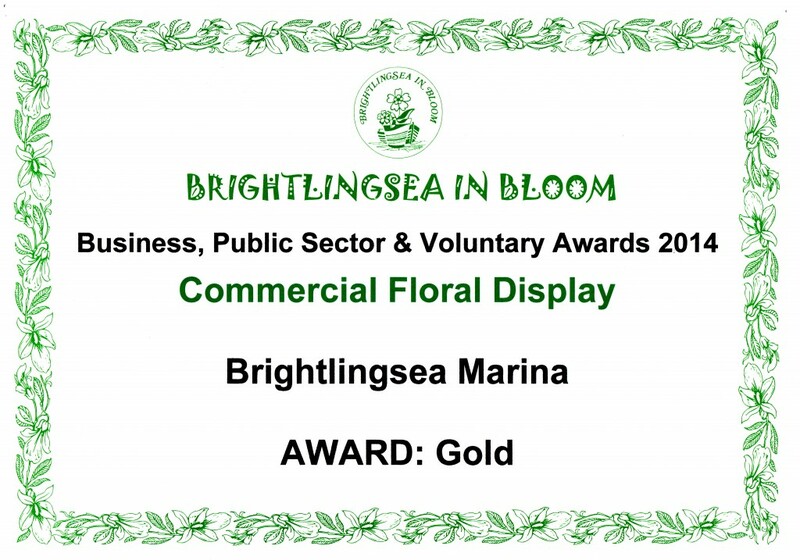 Waterside Marina in Brightlingsea has won a Gold Award from ‘Brightlingsea in Bloom’ in recognition of the development’s fantastic floral display this year. This is a huge achievement for Danny Cook, whose hard work in ensuring this prestigious development of 133 luxurious apartments situated on the waterfront of the River Colne is exceptionally maintained and looking its best all year round, has paid off. Well done Danny! Great news!!! - We are now accepting card payments at Waterside Marina. Brightlingsea Regatta and Boat Show 2014 was a great weekend! We had fantastic weather on both days, lots of trade stands, lots of boats and lots of visitors! We would like to thank Waterside Marina for hosting the Boat Show, CTruk Boats for sponsoring the event and all the trade stands and local businesses for taking part. The date for the 2015 Brightlingsea Regatta and Boat Show has not yet been decided upon. It will depend on the tide and the date of various other local events but is most likely to be a weekend in June or July 2015. Please do contact us if you would like to register your interest and be invited to exhibit at Brightlingsea Regatta and Boat Show 2015 or if you would like to be on the organising committee. Brightlingsea Boat Show – new central location for 2014 at Waterside Marina, CO7 0BG. This spacious marina incorporating seafront apartments, town houses, shops and a wine bar is perfectly situated between the Colne Yacht Club and Brightlingsea Sailing Club on Brightlingsea’s waterfront. Visitors to the Brightlingsea Town Regatta and Boat Show were treated to some fantastic on the water events such as boat and fun races, displays and rescue demonstrations as well as being given the opportunity to try a boat themselves as part of a ‘Try it weekend’. Both clubs have yachts and sailing boats for visitors to try over the regatta weekend and other times during the year – please book in at the Colne Yacht Club or Brightlingsea Sailing Club. There were plenty of new motor boats on display at Waterside Marina plus stalls and shops offering chandlery, marine electronics, engines, clothing and everything you may want for your boat. With local bands, Majorettes, the RNLI, Coast Guards, Royal Navy Association and many more. There was plenty of food available from the Colne Yacht Club, Brightlingsea Sailing Club, No 1 Harbour Square and other local venues. As usual, there was entertainment on the Saturday night from live bands. With local organisations, clubs and many marine stalls and businesses from throughout East Anglia represented, it was a great show for the entire family. With many thousands of people attending, the Boat Show and Regatta provided easy access, free parking and free entrance. With donations to the RNLI and Brightlingsea 4Youth, this worthwhile event raises important monies for these valued organisations. Dogs are welcome – but they must be kept on a lead. With fun in mind, we aim to give everyone a warm welcome and a fantastic weekend! Each year, the whole weekend boat show and regatta event is supported by the Brightlingsea Town Council. All associations and businesses within the town and area are being encouraged to participate in this huge local weekend. Waterside Marina are pleased to announce that we now have free Wi-Fi facilities for all visiting yachtsman & resident berth holders of Waterside Marina. Please contact the Marina Office for log in details. 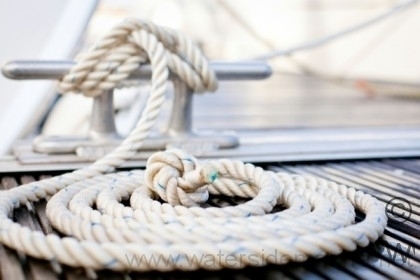 Waterside Marina is now under new management. EWS Ltd, who have been managing the properties at Waterside Marina for many years, have been appointed to manage the Marina itself. It is hoped that, through the new management structure with EWS, we shall be able to progress plans to dredge the marina basins to a depth of 2m clear water at low tide.